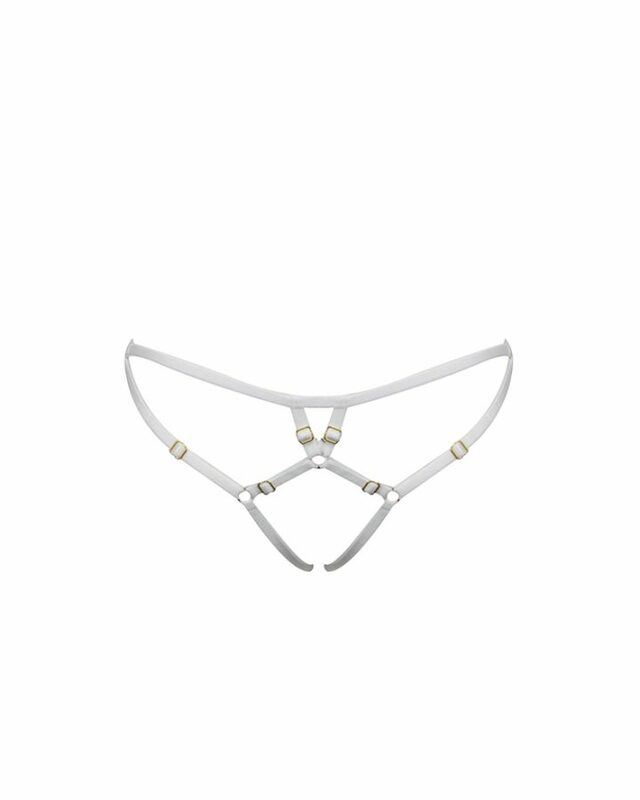 This beautiful, silk lined Italian Nappa leather bra is one of our best sellers for a reason! Ultimate comfort comes from the soft, adjustable, graphic strapping and no wires ensure you will want to wear this bra all the time! Style this with the Triangle Pearl Thong and for a true burlesque atmosphere with our Leather and Pearl Nipplets in Bordeaux. 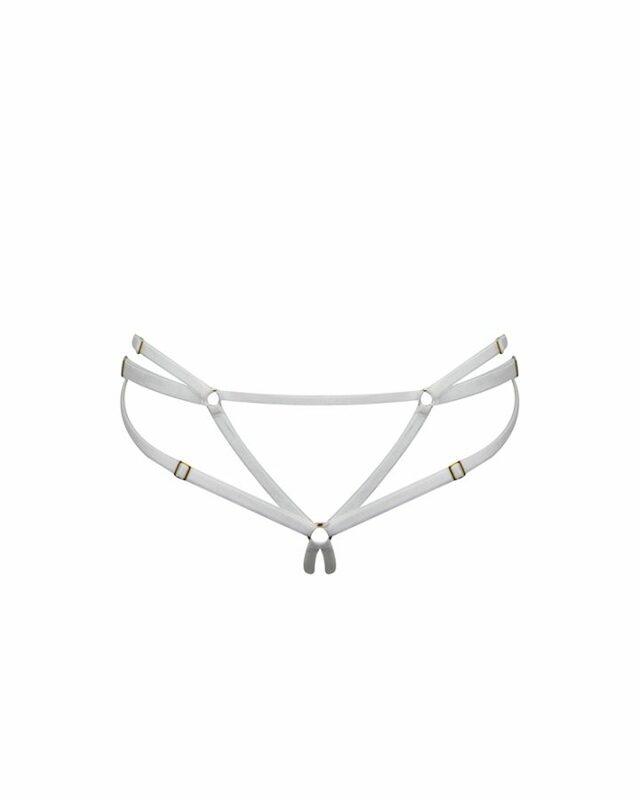 A simple, stretch silk thong from the front, a decadent linear masterpiece form the back! Adorned with our signature Freshwater Cultured Pearls, the interlocked straps add a luxurious touch. Style with the Leather Demi Cup Bra or the Leather and Pearl Nipplets alone for a night you’ll never forget. 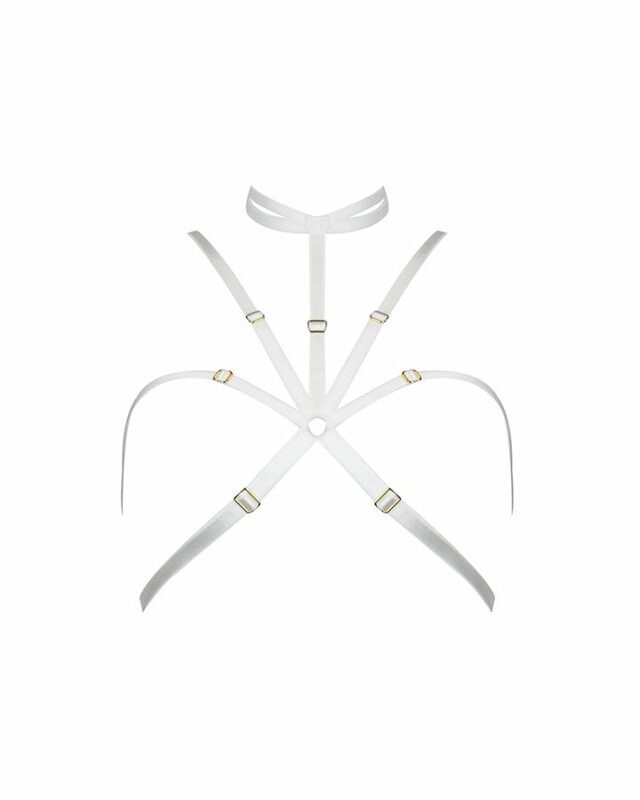 Composition : 100% Silk // Satin Elastic // 100% Real Leather // Freshwater Cultured Pearls.